Carnival is under way in Brazil and revellers have thrown away their inhibitions for the five-day party that runs up to Lent. 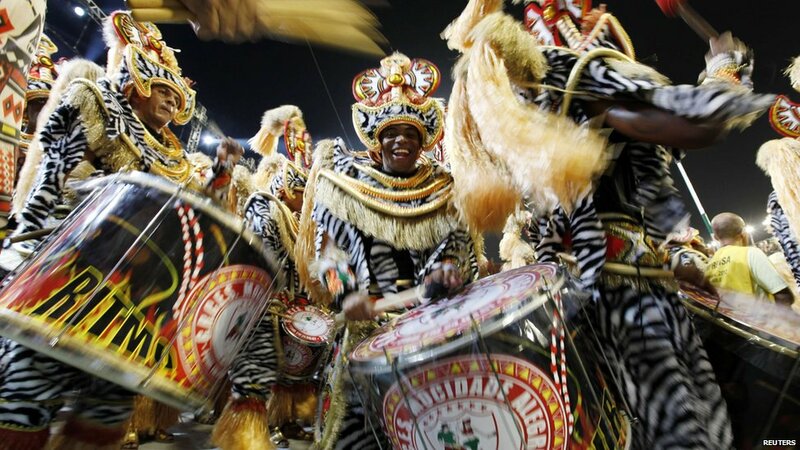 The seaside city of Rio de Janeiro is best known for its "Carnaval" celebrations, but there are also famous parties in Sao Paulo, Salvador, Recife and elsewhere. In big cities, more formal parades take place in Sambadromes, stadiums where entrance is ticket-only - such as Anhembi Sambadrome in Sao Paulo. Here the audiences tend to be tourists and wealthier Brazilians, though the samba competitions are also watched by an avid TV audience. 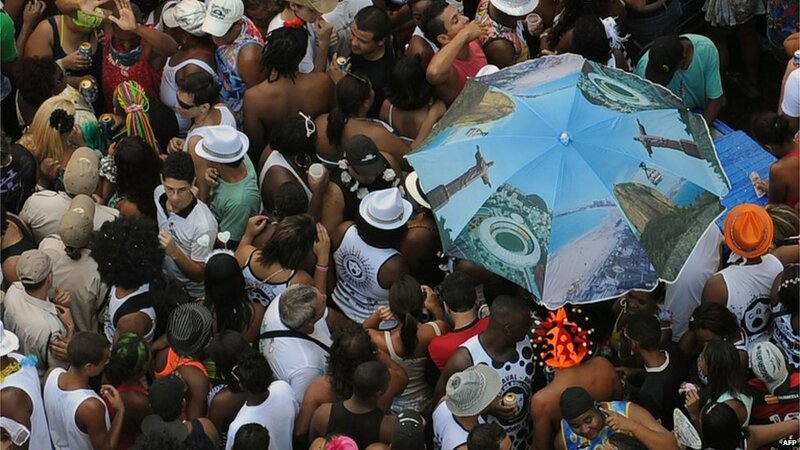 More raucous and chaotic, and attracting a greater mix of revellers, are the "blocos" street parties - such as the Bola Preta parade along Rio Branco avenue in central Rio. 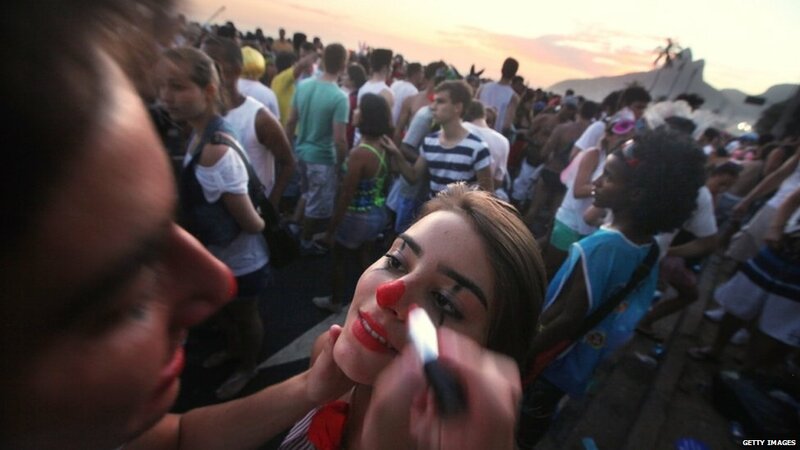 More than two million people joined such street parties in Rio on Saturday. 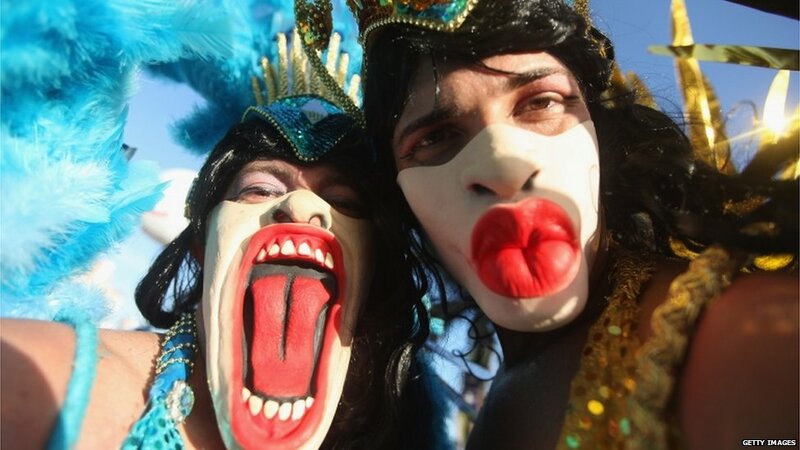 It can be a bewildering experience for some, with participants dressing in drag, as clowns, babies, the Pope or dinosaurs, or in more traditional samba costumes with feather headdresses. There were fears that strikes by state police in Salvador and Rio might disrupt festivities - which generate huge revenues for hotels, bars and restaurants - but the disputes were resolved just in time.